The 2014 Mitsubishi Outlander Sport is a smaller SUV (Sports Utility Vehicle) that is suitable for your next adventure trip or your regular commute. The 2014 Mitsubishi Outlander Sport is available with manual and automatic transmissions. The SUV is available in 2 trims, the ES and SE versions. The ES models offer three drivetrains and the SE model offers two drivetrains. The 2014 Mitsubishi Outlander Sport models come with steering wheel audio controls and a touchscreen audio system. The 2014 Mitsubishi Outlander Sport is an affordable SUV compared to similar models from Nissan, Ford and Mazda. The price ranges from the low $19,000.00 to $23,000.00 for the ES and SE trim levels. If you are looking for an entry-level sports utility vehicle, then the 2014 Mitsubishi Outlander Sport is a great choice. The 2014 Mitsubishi Outlander Sport is available in 2 trim levels, the ES and SE models. The ES models come with standard options whereas the SE models come with luxury options. The ES models offer many standard features such as keyless entry, cruise control, height adjustable driver seat, four-speaker audio system and air conditioning. The SE models offer automatic climate control, heated front seats, rear view camera, touchscreen display and satellite HD radio. The 2014 Mitsubishi Outlander Sport comes with a 2.0-liter, 148-horse power, four-cylinder engine. Both trim levels are available with front drive and all-wheel drive options. A paddle shifter placed on the steering wheel lets you switch between automatic and manual driving modes. The 2014 Mitsubishi Outlander Sport may not be as powerful as some of its competitors, yet the vehicle is powerful enough to haul 5 passengers and a respectable amount of cargo. Most customers are not overly worried about the fuel efficiency of sports utility vehicles. The 2014 Mitsubishi Outlander Sport offers 24 mpg on city roads and 31 mpg on highways. These numbers are slightly higher than the average SUVs in the same category. You can expect a combined 26-MPG with automatic transmission and a combined 27 mpg with manual transmission. The 2014 Mitsubishi Outlander Sport is designed with simple and elegant features inside. The vehicle is equipped with voice controlled fuse system, and steering wheel mounted audio and navigation controls. The front row passengers get extra leg space compared to the second row passengers. The cargo area provides 21 cubic feet of space. You can fold the back row seats and expand the cargo space. The 2014 Mitsubishi Outlander Sport does not compromise on safety features. The SUV comes with antilock disc brakes, hill start assist, traction control and side impact air bags. The overall crash impact rating is a respectable 4 out of 5. The Insurance Institute of Highway Safety awarded the 2014 Mitsubishi Outlander Sport with its highest rating of “Good”. 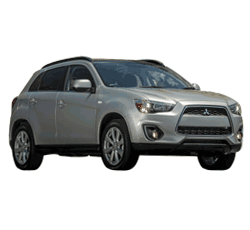 Mitsubishi offers a 10 year / 100,000 miles limited warranty for the 2014 Outlander Sport. This is especially attractive for customers deciding between a compact SUV or a bigger and pricier SUV. 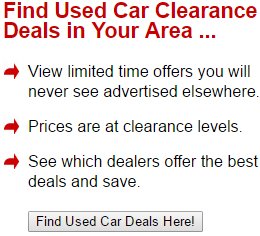 Mitsubishi also offers a 5 year / 60,000 miles new vehicle warranty on all models. A 7 year / 100,000 miles anti corrosion warranty is also available. All models also come with a 5 year / unlimited roadside assistance. The 2014 Mitsubishi Outlander Sport includes security features such as a anti-theft alarm system, rear-view camera and a 7 airbag safety system for all passengers. The anti-theft system automatically stops the power to the electronic circuits in case of a theft attempt. The rear view camera system helps the driver to navigate and park safely without any stress. The 2014 Mitsubishi Outlander Sport is not behind when it comes to luxury and comfort features compared with similar models. A one-touch start/stop engine switch is available to easily start and stop the engine. The fast key-entry system lets you open, start and drive your SUV without taking your key from your pocket. The SUV also comes with heated front seats. The 2014 Mitsubishi Outlander Sport matches similar SUVs with its impressive technological features. The vehicle comes with a hands free link system with USB port. This feature allows you to make Bluetooth calls and initiate voice commands. The SUV comes with automated climate control, which lets you focus on driving instead of worrying about adjusting climate controls. The vehicle comes with a 6.1 inch touch screen for audio controls and rear view images. The 2014 Mitsubishi Outlander Sport is available with fewer trims compared to many of its competitors. Mitsubishi limits the choice for customers to just 2 trims. The interior is noisy compared to similar compact sport utility vehicles. This is more of a problem when you take your 2014 Mitsubishi Outlander Sport for long highway trips. The 2014 Mitsubishi Outlander Sport is not great when it comes to cargo capacity. You may not be able to haul more cargo with this compact SUV. The 2014 Mitsubishi Outlander Sport is budget friendly and convenient compact sports utility vehicle. It is great for small families looking for a compact vehicle.